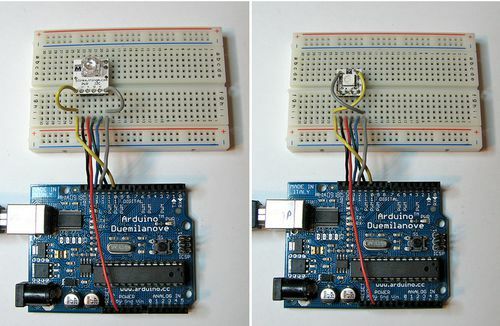 I finally got around to updating the BlinkMuino guide for turning your BlinkM, BlinkM MinM, or BlinkM MaxM into a tiny ATtiny85 or ATtiny84 Arduino system. BlinkM boards make great tiny development boards, especially if you’re interested in driving LEDs. BlinkM MaxMs are particularly great because they have more inputs and those three beefy MOSFET power transistors. And MinMs are good because they’re super tiny, but still contain a fully-programmable computer. We’ll be showing off some examples of BlinkMs programmed with Arduino at Maker Faire, some say “hi”! Hi! I just came back from the Maker Faire San Mateo and saw your products in the Maker Shed. This is why I got the BlinkM! So I don’t have to fit an Arduino in my helmet!